You want to know what movies are about - and that is why spoilers related to the upcoming "Star Wars" movie and "Avengers 2" and whatever else are so popular. Hey, you knew how the RMS Titanic met its demise, and you still watched a movie about it, notes Rich Goldstein in The Daily Beast. I didn't, but most of you did. And Shakespeare knew you wanted to know, that is why you read The Tragedy of Romeo and Juliet and not The Mystery Of Romeo and Juliet. I know how The Grapes of Wrath is going to end, I still read it over and over again. Many people enjoy the "perceptual fluency" of knowing spoilers, found a psychology paper, though clearly not everyone does. My kid once bought me a book and I started reading it and I had all of these questions and I was hooked - only later did I discover it was the third in a series. The first one was basically unreadable after that because it was like being spoon fed, but if you started reading where I did, and you are like me, it was gripping. Perceptual fluency and its resulting predictability leads to a more positive response, for most. There is absolutely no way "Titanic" is a better film than "Looper", but guess which one made the most money? In their paper, Leavitt and Christenfeld did three experiments in which the participants read three stories, each of which might have an 'inadvertent' spoiler paragraph included. Even in 'ironic twist' stories the subjects didn't rank the spoiled version as being worse in any meaningful way - they ranked them slightly better. Knowing how it ends might even increase tension. 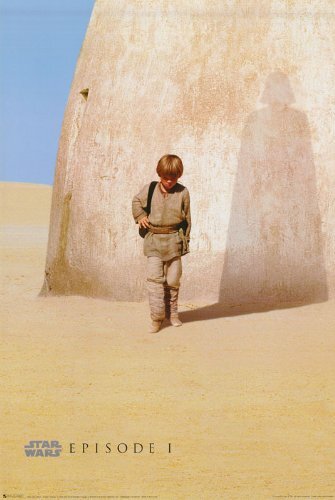 The movie poster was one of few good things about "The Phantom Menace" because it showed a young boy in the desert, but his shadow was Darth Vader. Sometimes what you imagine based on a spoiler is better than the actual story. I've never met a Star Wars fan who didn't think he could have written a better movie based on this poster than what they actually got. We knew how it was going to turn out but that made the story better. Heck, it may even be that knowing a spoiler heightens the story because we are looking for new twists. A story that opens with an ending where the hero is dead makes people spend time looking for a way out. The film "Memento" gives away everything in the beginning and that makes it a great piece of cinema. So go ahead and read about the Star Wars spoilers on The Daily Beast. If the movies are going to be based on existing books that will be a relief to fans, at least if we go by the reception to the last trilogy made by creator George Lucas.